» Will You Enjoy Your First Kickboxing Class? Now there’s a question. Most of us feel self-conscious whenever we do something new. When we do it in front of family or as part of a class, we feel even more exposed than we would normally. But let’s get into the actual idea of doing kickboxing for a moment. It packs in so many benefits you’ll find it difficult to take them all on board at first. That first lesson is going to introduce you to a sport that can change your life. That sounds overly dramatic, to be sure, but it’s true. It has so many health benefits to offer, you only need to keep these in mind if you want to start making the most of your efforts. So how will you feel during and after that first kickboxing class? Well, you’ll feel nervous and self-conscious to begin with, but that should soon pass. If you’re joining a new class everyone else is going to feel the same as you. Some might be better at hiding it than others, but you’ll all feel the same. The best way to approach the first class is simply with an open mind. If you start with no expectations you’ll find it easier to learn how the classes will be structured. Your body will respond to the various aspects of kickboxing as you go to more lessons. You might even leave that first lesson with a completely different idea of how beneficial it could be for you to attend regularly. 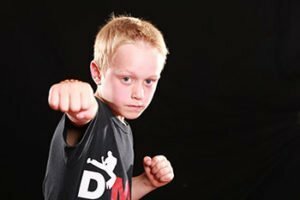 Really, if you stay open-minded and you focus on what the classes have to offer, you’ll enjoy that first taste of kickboxing even more than you thought you would. From that moment on you’ll be hooked. Your next lesson won’t come soon enough for you! Previous Post Kickboxing: Competing Against You, Your First Kickboxing Class Next Post Can Kickboxing Prevent Injury?